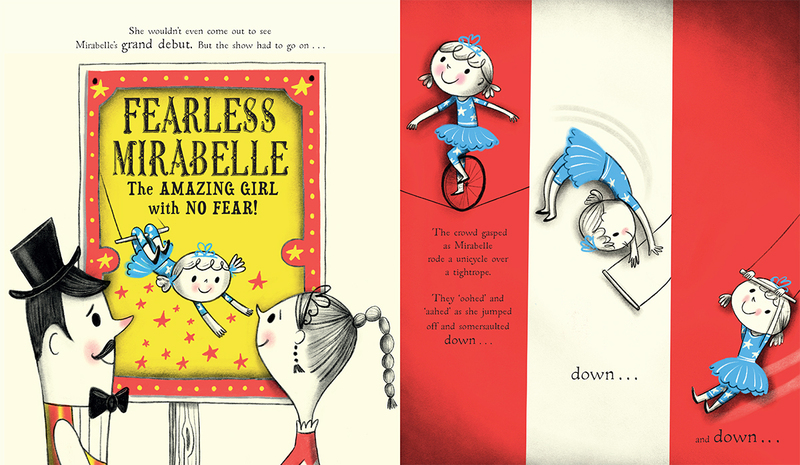 Fearless Mirabelle, Nila Aye's debut picture book was published by Templar last week. 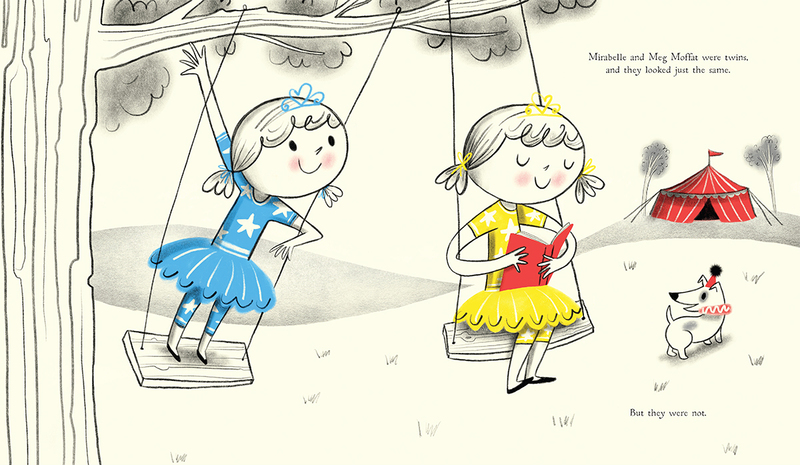 This endearing tale written by Katie Haworth follows sisters Meg and Mirabelle, who look the same but are incredibly different. 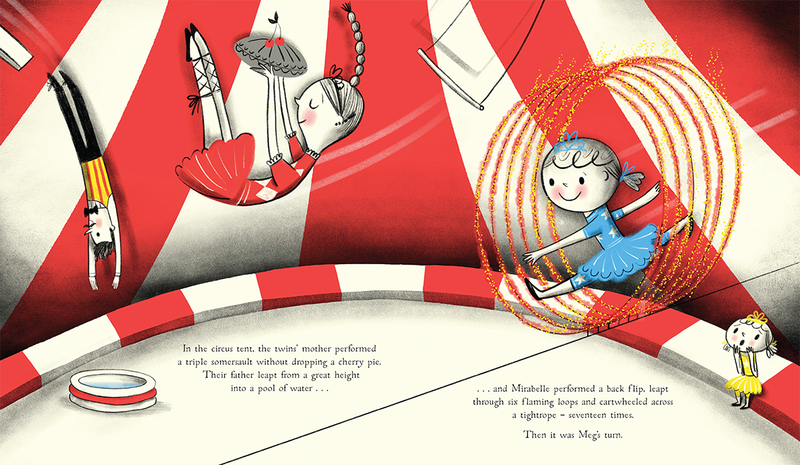 The circus setting provided the perfect opportunity for Nila's retro style to shine, creating a beautiful book that appeals to both children and adults. 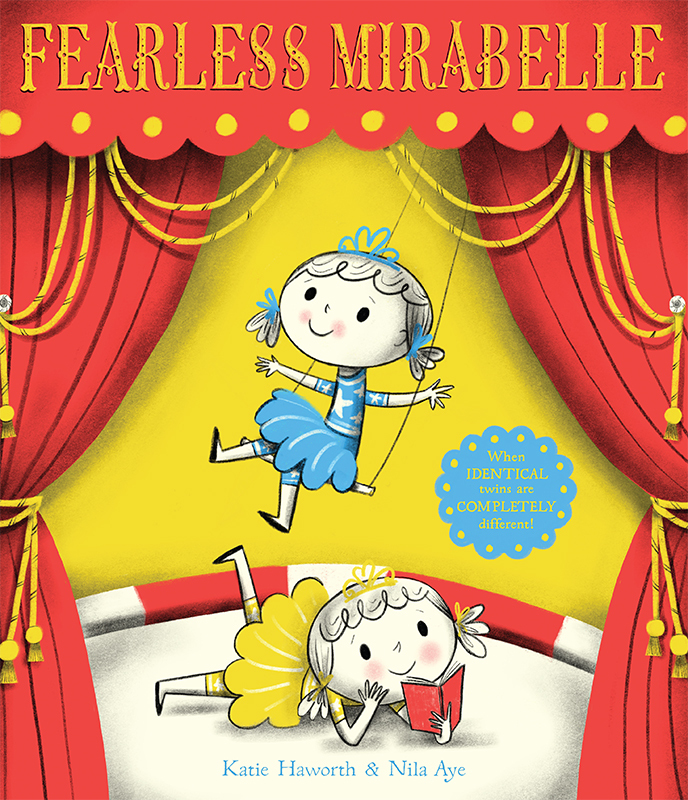 With Nila busy working on more titles due for publication next year, Fearless Mirabelle is a wonderful start to an exciting picture book career. 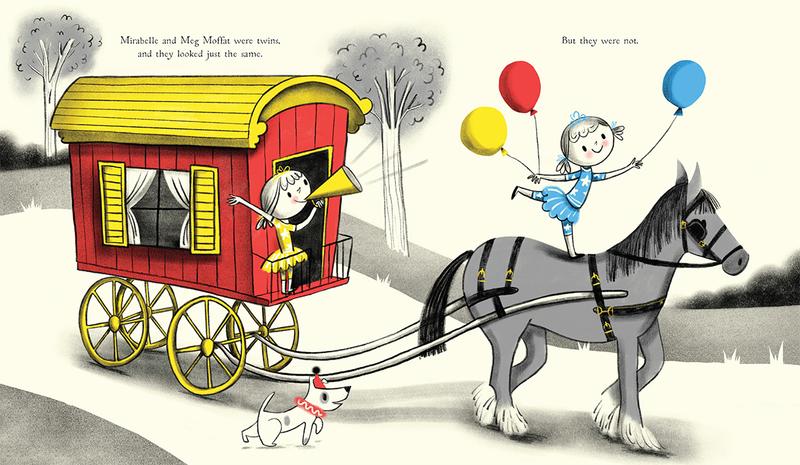 We spoke to Nila about how she pursued her dream of working in children's publishing, her love of this very special text and her vintage influences. What were your first thoughts when you read the text? I thought the text was charming and amusing. It shows how we all want to fit in, but what makes us really special are the things that make us different. I also loved that the book is about sibling rivalry, which can be so difficult when you are growing up. Which sister do you most identify with? Definitely Meg, she is the one with her nose in a book, and on first inspection is very introverted. Although unlike Meg I would shy away from any kind of public speaking. I'm not sure what would be worse for me - flying the trapeze or speaking in public! When I read the manuscript for the first time, I was incredibly excited; so many images raced through my mind that I knew this was a great match for me. I started researching straight away and I was particularly interested in looking at Victorian circuses with their traditional costumes and typography. The whole project was a true collaboration with the team at Templar and Katie, the author. We all put our thoughts on the table and worked together. You've historically worked on advertising and editorial projects, what made you want to explore the world of children's publishing? I've always wanted to work on children's books; I remember the joy they gave me from a young age. However, straight after leaving St. Martins, I mainly received editorial and design commissions, so followed that path for the next twenty years. There was never any extra time to work on my children's portfolio until about two years ago when I bought myself an iPad Pro and started sketching on the go. A style developed and it quickly became popular. What is it about working on picture books you particularly enjoy? I'll always enjoy working on editorial and advertising projects, but the briefs tend to be more specific and deadlines are tighter, so you have to get the idea across in an immediate way. With children's books you have thirty two blank pages to tell a story, which by comparison is decadent! There is so much more time and opportunity to be creative and develop ideas. Clients love the retro charm of your work, could you tell us a little about your influences. I have been drawn to 1950's America for as long as I can remember. I love Disney from that era and the work of Mary Blair is astounding. I also admire J.P. Miller, the Provensens, M. Sasek, Aurelius Battaglia, Roger Duvoisin; the list goes on and on. Anything mid-century appeals to me, the colours, the packaging, the typography, the signage. I would love to go back to the West Coast on another road trip and search for more ephemera. We've noticed a little elephant often pops up in your work, could you tell us a little bit about him? Well, I really enjoy drawing elephants. They are so pleasing with their big body mass and funny trunk and big ears. 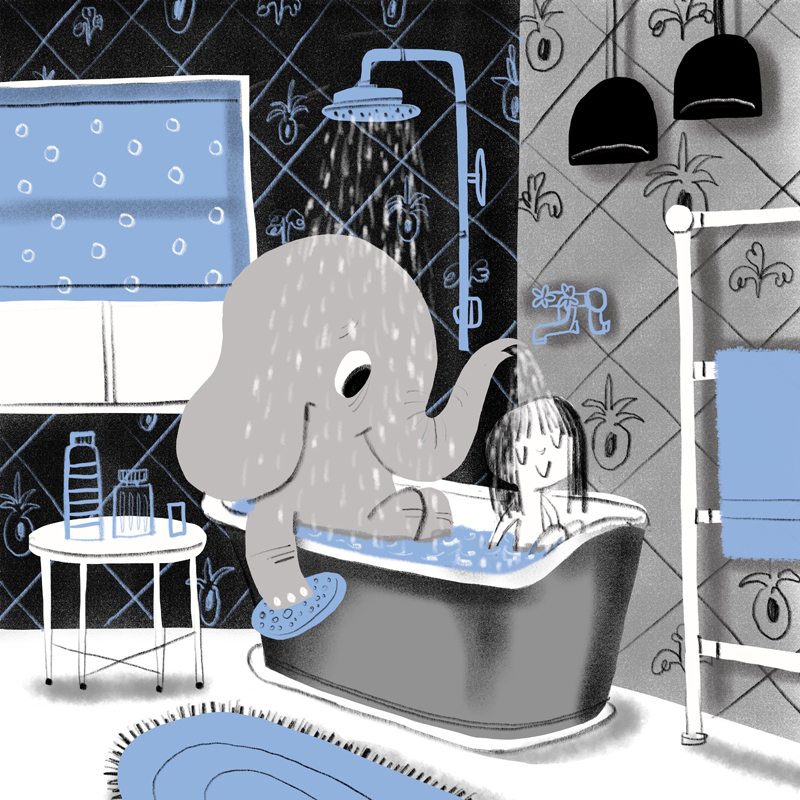 As I was conjuring up scenes I wanted to draw, they would always include my little elephant buddy. I didn't plan it but he just kept popping up over and over in different scenarios and almost became my imaginary friend! I didn't want to restrict myself to gender stereotypes so I named him Herman; a kind of funny, gender fluid elephant. This is not what defines Herman though, the world just accepts Herman and that's that. Herman's a gentle, sensitive soul with a big heart and is also a bit clumsy, which can't really be helped. We love Herman! We look forward to seeing where his adventures lead. And finally, what are you working on at the moment? 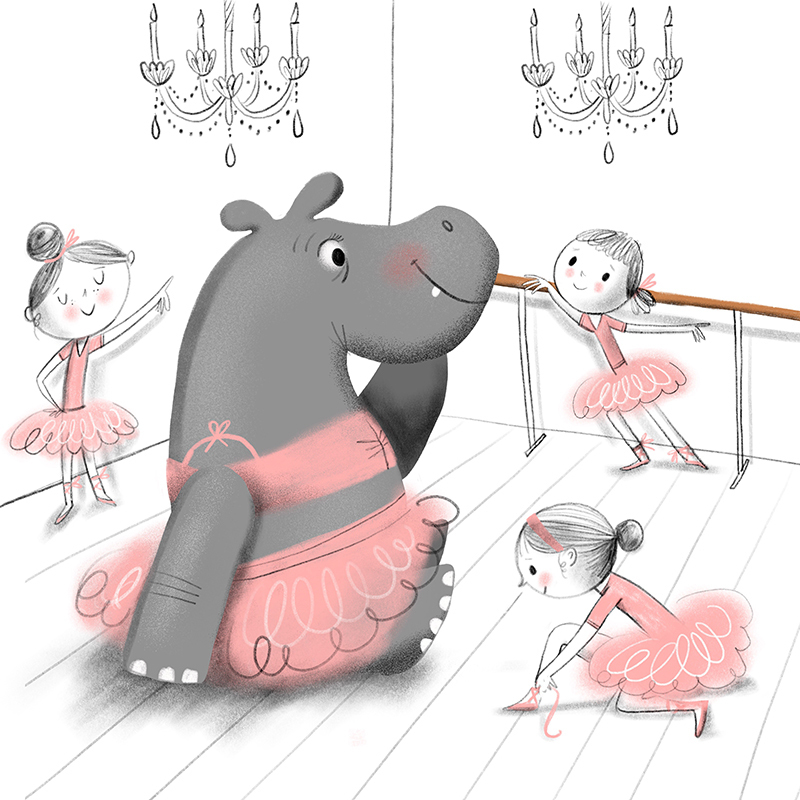 I'm working on a picture book with Bloomsbury Publishing which is part of a two book deal, which is very exciting! This one will be out next year and it's quite different to Mirabelle. I can't really say much about it but it's going to be a fun adventure so stay tuned! To view Nila's portfolio, click here. Nila Aye is represented by Kids Corner. Published on 26 July 2018.